Hello. 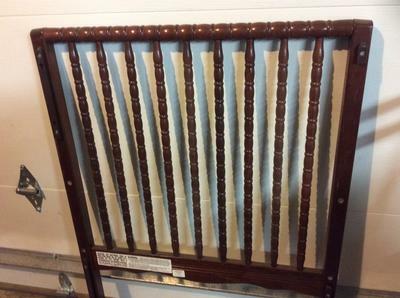 I am looking for replacement Jenny Lind drop side crib parts for my somewhat vintage 1998 Jenny Lind siderail drop style Worldwide Generation 2 Model 10-2108 baby crib manufactured in 1998 in Dothan AL Alabama USA. I hope that someone either has parts they are willing to share or know where I might be able to buy them. I basically need the appropriate hardware (read: bolts or screws) to attach the mattress springs support to the frame of the crib and the wheels. I realize that many feel that drop side cribs are not safe. 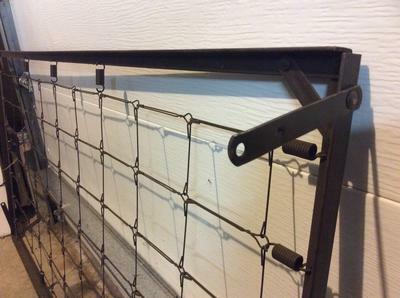 However, I understand that there are kits available to immobilize the side rails such as the one suggested to fix another poster's Williamsburg Jenny Lind drop side crib. 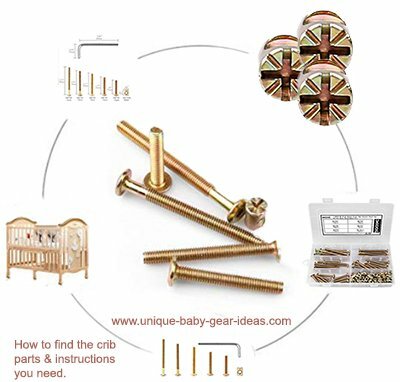 Go here to see the assortment of screws, bolts and other replacement parts for cribs seen in this photo and more. 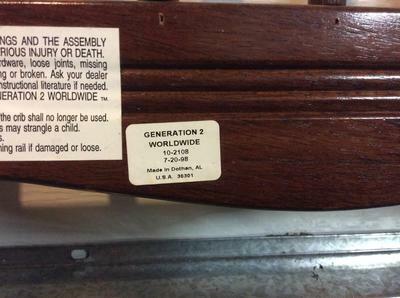 If Worldwide Generation 2 crib assembly instructions are available I would appreciate a copy if anyone has a copy they could email to me or post using the link below so that others who visit Unique Baby Gear Ideas might find them as well.